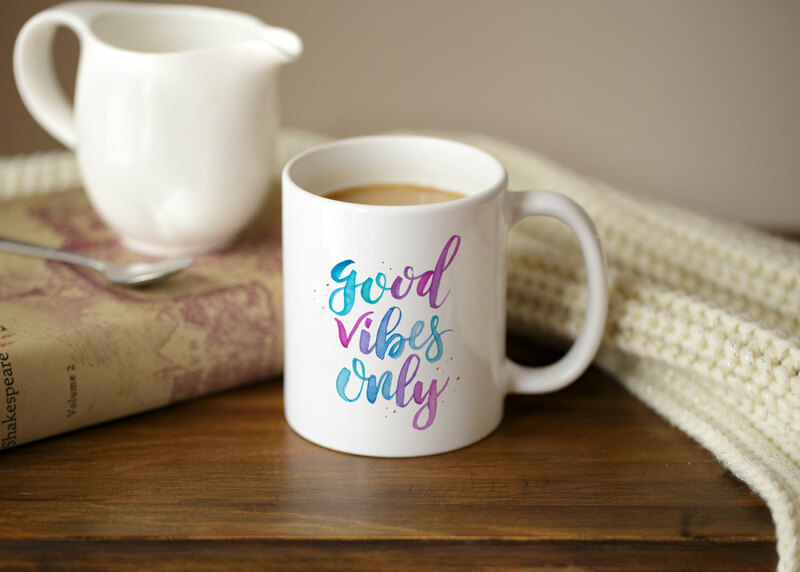 This 11oz hand lettered "good vibes only" mug will bring a smile to your face each time you see it! The mug will be printed with the design on both sides, and is dishwasher and microwave safe. My mugs are printed using a sublimation process, so you’ll never need to worry about the design wearing off. Mugs take 4-6 days to be made, and shipping takes an additional 2-4 business days.